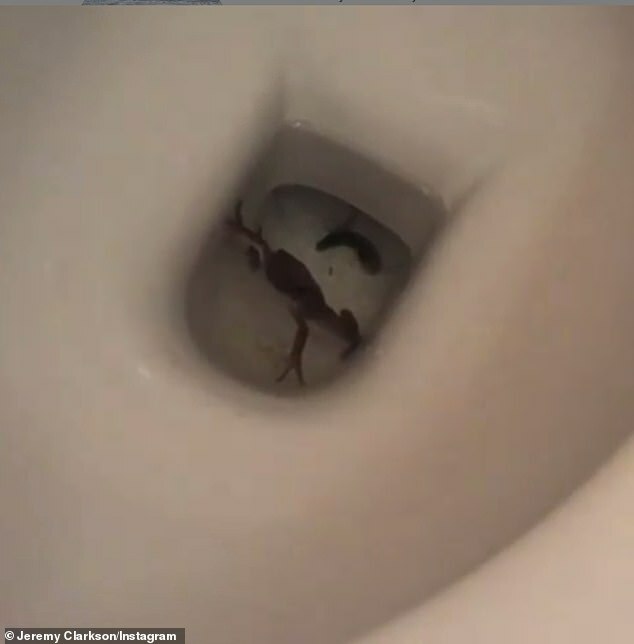 Jeremy Clarkson got the shock of his life when he looked down the loo on Thursday. 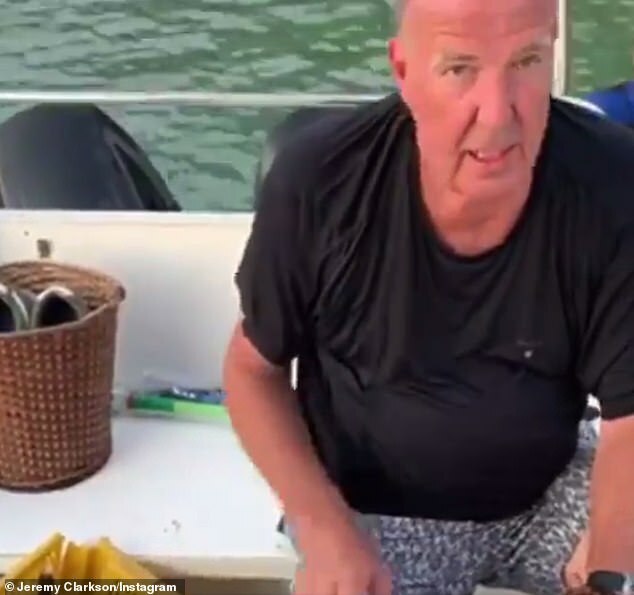 The Grand Tour host, who is currently on a tour of southeast Asia, shared the moment he discovered a frog in his toilet basin and did not know what to do about it. Declaring it an ’emergency’, the 58-year-old shared some pretty shaky camerawork on Instagram as he pleaded for advice from his followers. 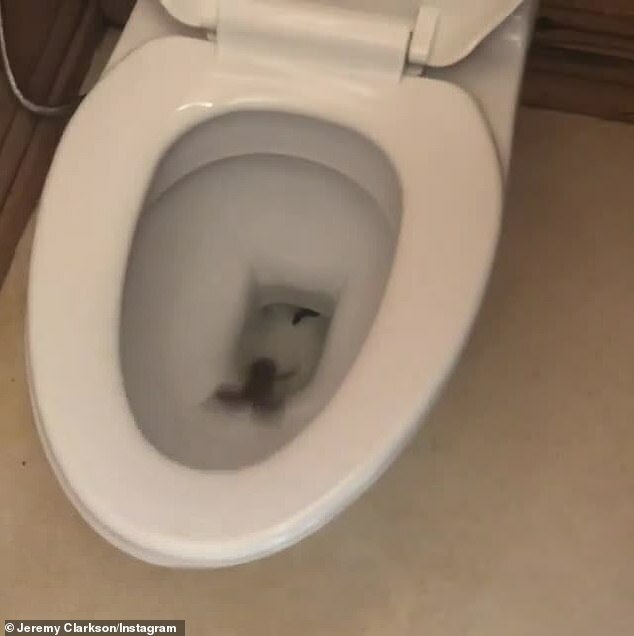 In two clips, Jeremy’s unwanted guest can be seen slipping up and down the toilet bowl, unable to escape, before retreating down the hole. This is not an uncommon problem in tropical countries during dry seasons. 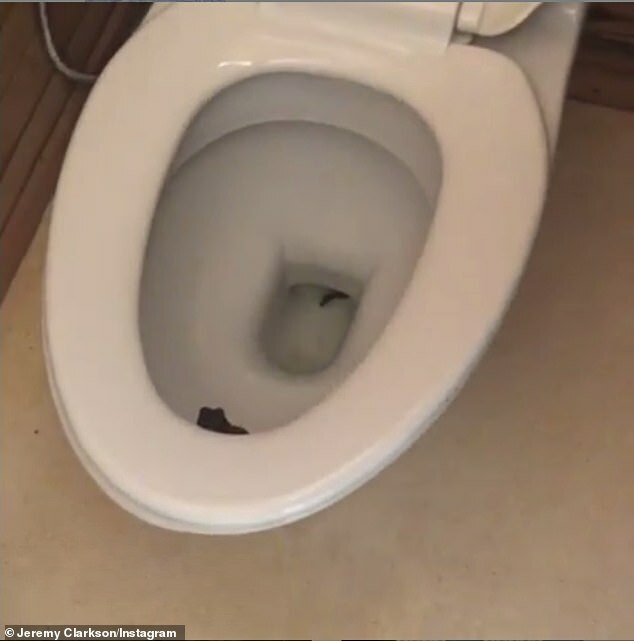 Sometimes, frogs can find solace in toilets after making their way into a residence, but other times a frog can swim to the toilet tank from the sewer line. 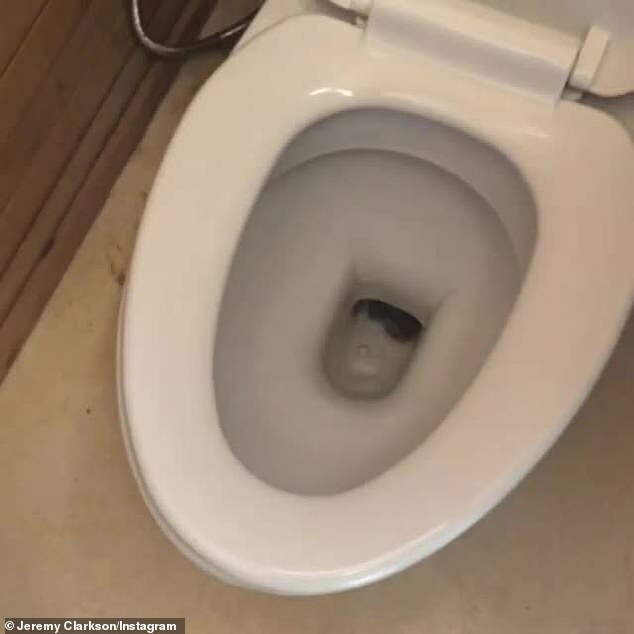 Yet Jeremy’s new amphibian friend didn’t seem to want to go back down the way he came, and kept reappearing in the short Instagram clips. Jeremy’s post prompted some unhelpful suggestions, like switching rooms with James May or getting Richard Hammond to ‘fight it to the death’. However, others offered some practical advice about how to deal with the unwanted visitor. 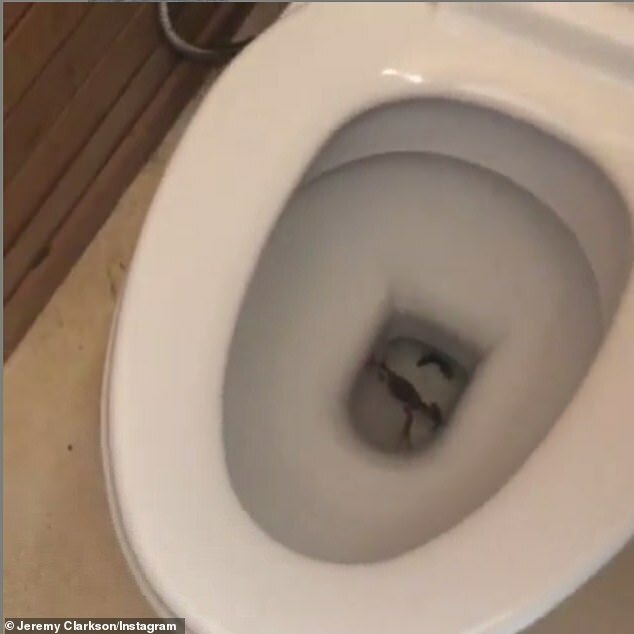 Official advice issued by conservationist group, Frogwatch, suggests that frogs are ‘unlikely’ to be harmed by the flush of a toilet, so it seems Jeremy’s best option would have been to pull the chain. Instead, Jeremy chose an alternative option and opted to ‘retreat’ to the coastline while the drama unfolded at home. Jeremy is believed to be in Vietnam after taking off for a ‘gap year-style’ trip in Southeast Asia, where he’s even been picking up rubbish. 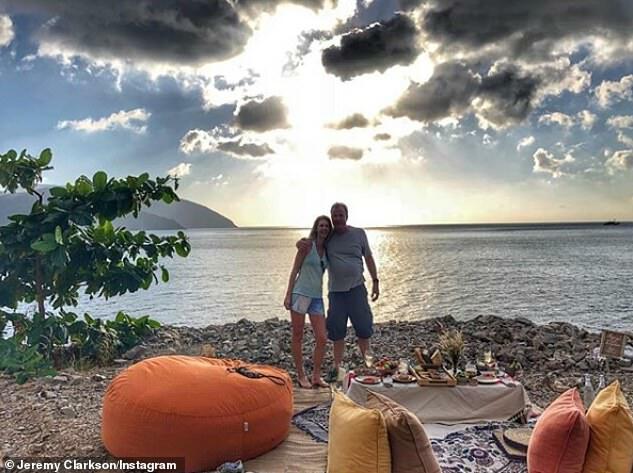 He’s joined by 46-year-old girlfriend Lisa Hogan, who was seen posing with him on the beach earlier this month. 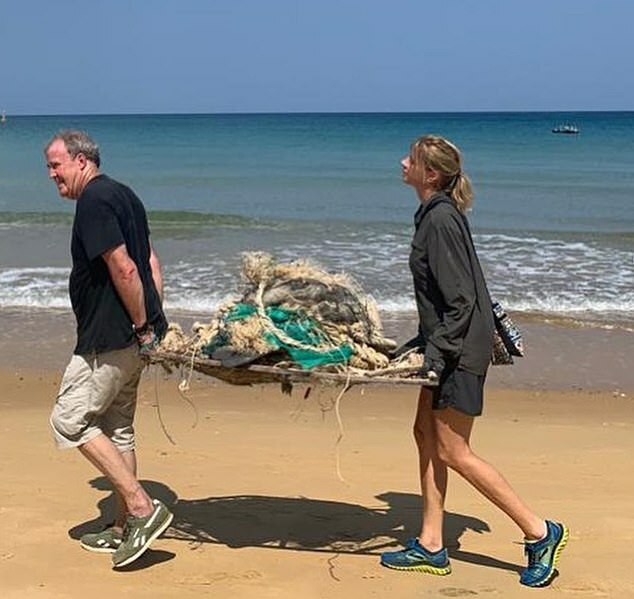 ‘In other news from Vietnam, we’ve been clearing litter from the beaches,’ Clarkson posted on Twitter. The 58-year-old has been travelling with Lisa, 47, through Singapore, Laos, Cambodia and Vietnam – and has become something of an eco-warrior.